The Let’s Get Real conference, delivered by Culture24, is the output from their sixth collaborative action research project. During 2018 Let’s Get Real 6 focused on the theme of connecting digital and social purpose in the work of arts and heritage organisations. It saw museums and cultural organisations, large and small, come together to share experiences, develop ideas and test them out. The result is a wealth of collaborative research documented in a public report. Read more about Let’s Get Real 6 and download the report. 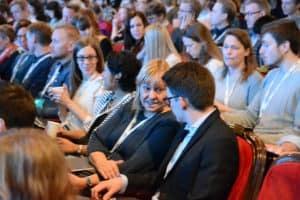 The conference has a programme packed with speakers from the cultural sector, building upon the conclusions of the report and exploring the theme of connecting digital practice with social purpose. We’ll be at the Wellcome Collection, soaking up the talks and available to chat through early ideas for projects and our experience of facilitating social purpose via digital means – we’d love you to come and say hello. Get tickets and find out more about the programme for the day. Freelance developers and designers wanted!